In 1999, I filmed my first wedding, yes, that was more than 18 years ago. I am always trying to learn more and get better at what I do so I am excited for the direction this industry is going with all the new cameras and equipment that have come out recently. These will only enhance the skills that I have developed over the years. I also film corporate videos and events, family videos, music videos, and YouTube videos, but most of all, I love filming weddings. 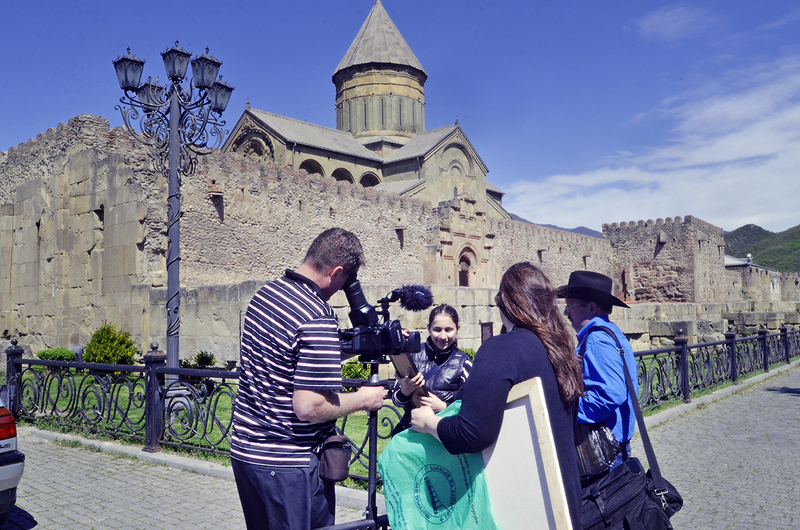 Check me out filming in the Country of Georgia outside the Svetitskhoveli Cathedral for a Non-Profit group that helps orphans. This was probably the most life changing experience I’ve had while filming. Check out this picture from Sydney and Janson. 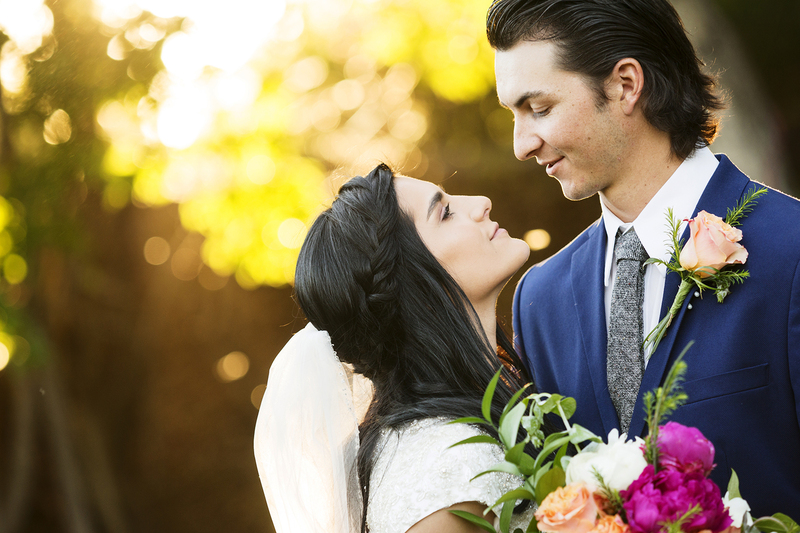 They got married in August of 2017 in American Fork, Utah. Their bridal/formal pictures were done at Thanksgiving Point, in Lehi, Utah. I love how the sun was peaking through the trees to create this breathtaking image as their stared into each others eyes. 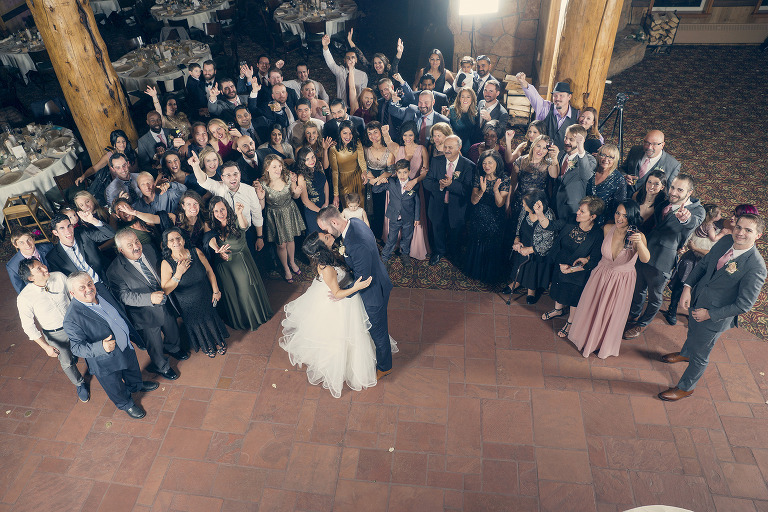 This is definitely one of my favorite Wedding Highlight moments. Chantelle and Andrew’s Engagement Session at the International Peace Gardens turned out amazing. This image of the two of them kissing seems like its perfect. Here is another favorite from Janessa and Jason’s wedding in 2010. The night before they got married, we went to Corona Del Mar Beach in California and captured this image. There are fads that go in and out of the wedding industry like the chocolate fountain, remember those? Seemed like a great idea until you see all those little kids sticking their fingers in it. Photo Booths, however, are here to stay. Why? Because your guests have so much fun using the Photo Booth during the reception. We always bring tons of props to each wedding, we always have an onsite attendant to assist your guests, and our Photo Booth even allows your guests to leave a 20 second message for the bride and groom. After the wedding, you will get an album that has copies of your guests photo strips with messages that they wrote for you, digital copies of all of the pictures taken in the Photo Booth, and a highlight video similar to the one below. Another thing that makes our photo booth amazing is that we actually use a real Canon DSLR camera in the Photo Booth. What does that mean for you? The images are going to be better. Period. Nichole + Bradley | Photo Booth Highlights from Doug Larson on Vimeo.